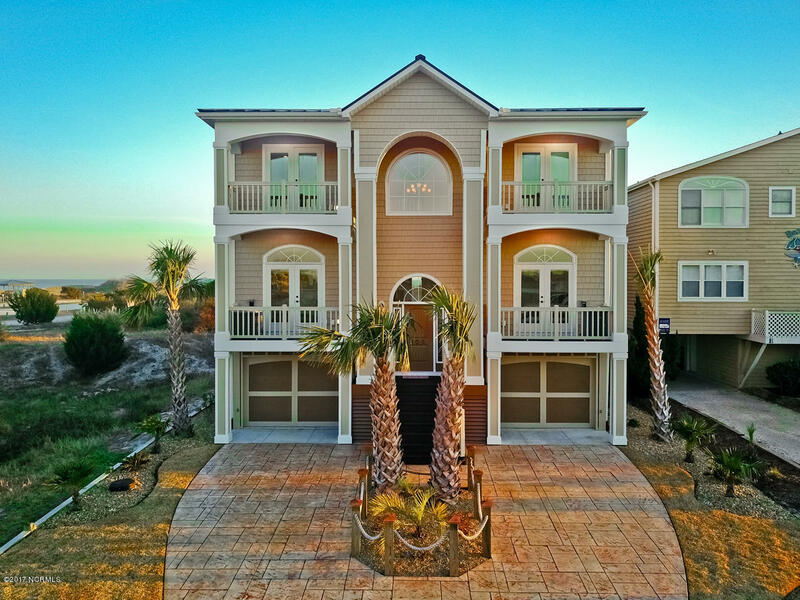 This oceanfront custom-built home is waiting for you! Finished in '15 but never lived in; only 50 ft. from beach access. This spectacular home, with all new furnishings, has open floor plan w/a wall of windows allowing you to enjoy panoramic water/sunset views from both levels. This 4 BR, 4.5 BA home has all the bells & whistles you would want. The 2-story great room has gas FP surrounded by built-ins. The gourmet kitchen features custom cabs. w. SS GE Profile appliances, granite countertops, gas cooktop & double ovens. The main level has 2 generous sized guest rooms ea. has own bath. The laundry & powder rooms also on main level. A grand staircase leads to master suite & 3rd guest room. Master has FP, his/her walk-in closets & access to oceanfront deck. I would like more information about 105 W Main Street in Sunset Beach.